At Wow Dental Group, our goal is to help you and your child develop a lifelong positive attitude toward dental health. Adults who visit our practice will benefit from our years of expertise with gum treatment, and more. If your child is the one who needs to visit a pediatric dentist our doctors’ significant experience treating young patients can help ensure not only the best treatment but also a comfortable, relaxing atmosphere to put your child at ease. Please take a look at our locations below and what we offer at each location to decide which office is the best fit for you and your family. 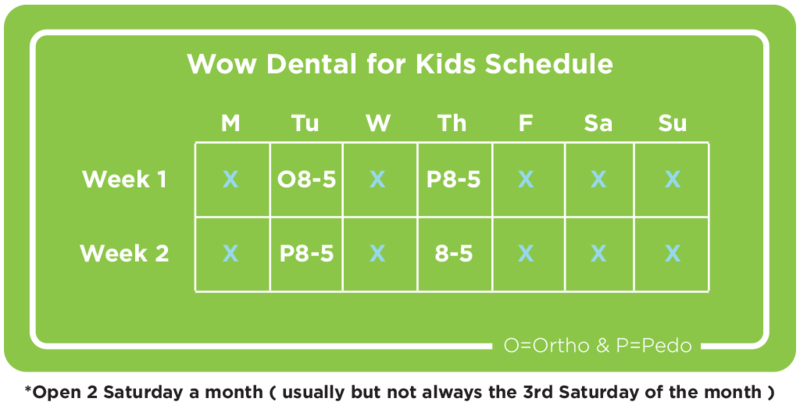 If you’re looking for a Waltham pediatric dentist in our dental office, you’re at the right place at Wow Dental Group! Please call us if we can help you in any way! New hours go into effect on July 1, 2018.